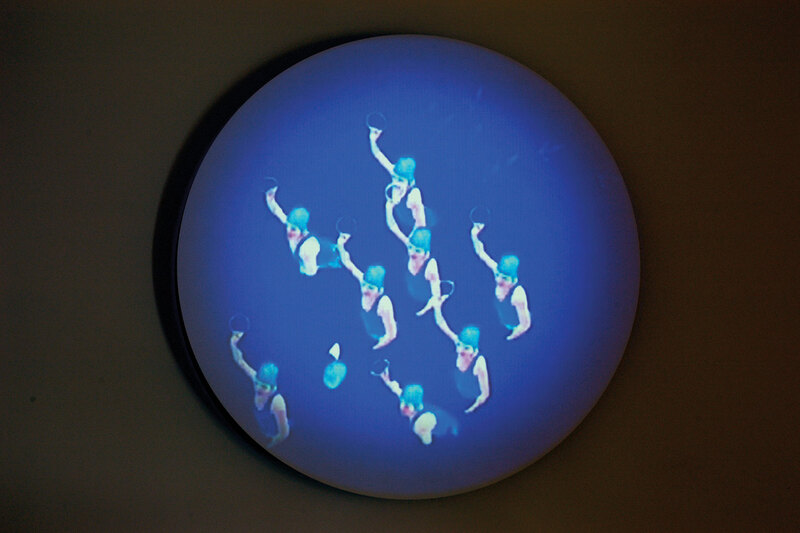 Within this digital Petri dish elements of the pool life have been sampled, multiplied and superposed onto one another in a succession of images. 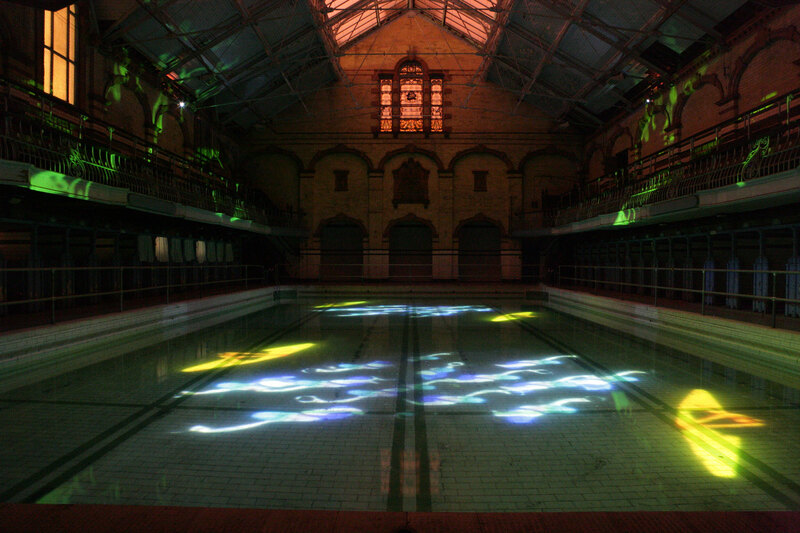 Crawl animates the diverse communities, which succeed each other in municipal pools. 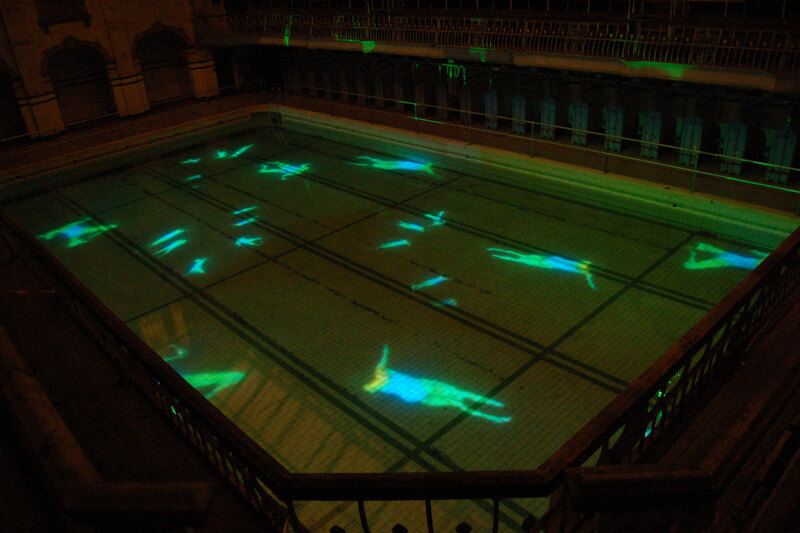 Public and intimate activities are re-framed to produce a new narrative, which transforms pools into a tropical sea where aquatic users co-habit in a fictional world. The creation of the first public swimming pools was initiated by a handful of altruistic benefactors at the turn of the 20th Century. Today as a number of these amenities are being shut, privatised or moved out of town centers, Crawl reminds us that the notion of ‘progress’ once addressed the well-being of all sections of the population.